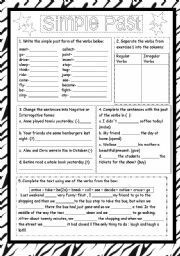 I´m teaching Present Continuous now and I see my SS have some trouble with the ing spelling, so I decided to make this WS to help them in a fun way. 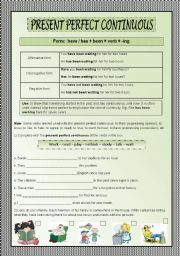 Hope it can be useful for you! B&W included and Key also. Cliparts from Google(free ones). Hugs for u all,nice Sunday!!! 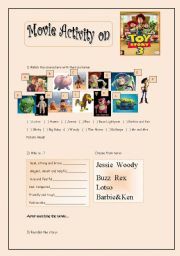 Another activity on Monica´s Gang, now with vocabulary on musical instruments. Hope it can be useful for you all. Let me know if it worked well... A great weekend for u all!! As Easter is coming I decided to make a ws on a text about chocolate. 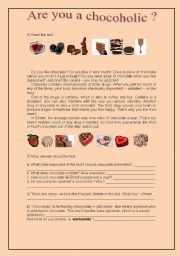 Well, I´m a chocoholic, and you?? Hope it can be useful! Hugs for u all!! 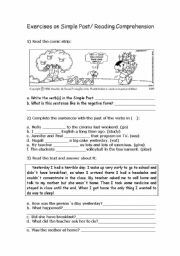 It´s a simple exercise for students to work with the simple past, I gave it as a test for my students here. 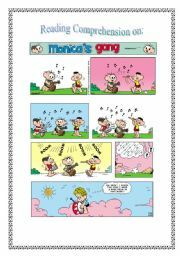 The comic strip shown is a famous Brazilian one called "Monica´s Gang". 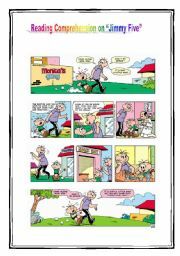 you can also find other examples of it in the site http://www.monica.com.br/comics/turma.htm. Hope it can be useful for u! 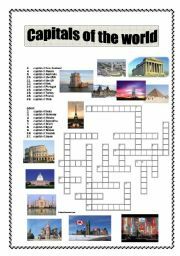 Simple WS about countries´capitals. You can ask your students to search for the names in maps or internet. Images from Google. 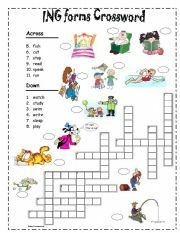 Hope it can be useful and fun. Hugs for you all, have a great Saturday! !